Denis O. Lamoureux is an Associate Professor of Science and Religion at St. Joseph's College in the University of Alberta. His appointment is the first tenure-track position in Canada dedicated to teaching and research on the relationship between scientific discovery and Christian faith. Lamoureux's academic specialty focuses on the modern origins controversy. Lamoureux embraces the time-honored belief that there are two major sources of Divine revelation—the Book of God’s Words and the Book of God’s Works. The Bible and the physical world complement each other. Science reveals How the Creator made this spectacular design-reflecting world, while Holy Scripture declares precisely Who created it. Together the Two Divine Books fulfill each other; alone they are incomplete. In his online web lecture Beyond the "Creation" vs. "Evolution" Debate, Lamoureux argues that the simple either/or approach to origins inhibits everyone from making informed choices. He asserts that if the limits of both conservative Christianity and evolutionary biology are respected, then their relationship can be complementary. This view of origins is known as Evolutionary Creation. Concisely stated, it claims that the Father, Son, and Holy Spirit created the universe and life through an ordained, sustained, and design--reflecting evolutionary process. Evolutionary creation emphasizes that the Bible is NOT a book of science. Instead, it is a God-inspired revelation that offers inerrant, life-changing, Messages of Faith. Holy Scripture does indeed refer to the natural world, but it features an ancient understanding of nature. In other words, the Bible has an ancient science. Indeed, evolutionary creation is a challenging view of origins for many Christians, and Lamoureux shares his struggle to accept this position in a web lecture entitled Coming to Terms with Evolution: A Personal Story. He also writes about his voyage in a book chapter that is online. Of course, not everyone agrees with Lamoureux's position on origins, as seen in the comments made by famed atheist Richard Dawkins in this video clip. Lamoureux holds three earned doctoral degrees—dentistry, theology, and biology. He is a Fellow of the American Scientific Affiliation and cited in the Who's Who of Theology and Science. He is also a member of the Evangelical Theology Society. Lamoureux lectures throughout Canada and the United States in both Christian and public academic institutions. In 2001 and 2006, he received teaching awards from the University of Alberta Students' Union. Lamoureux's award winning introductory course on the relationship between science and religion, CHRTC 350: Science and Religion with Class Notes, Class Handouts, and Class Audio-Slides is available online. With Phillip E. Johnson, Lamoureux co-authored Darwinism Defeated? The Johnson-Lamoureux Debate on Biological Origins (1999). 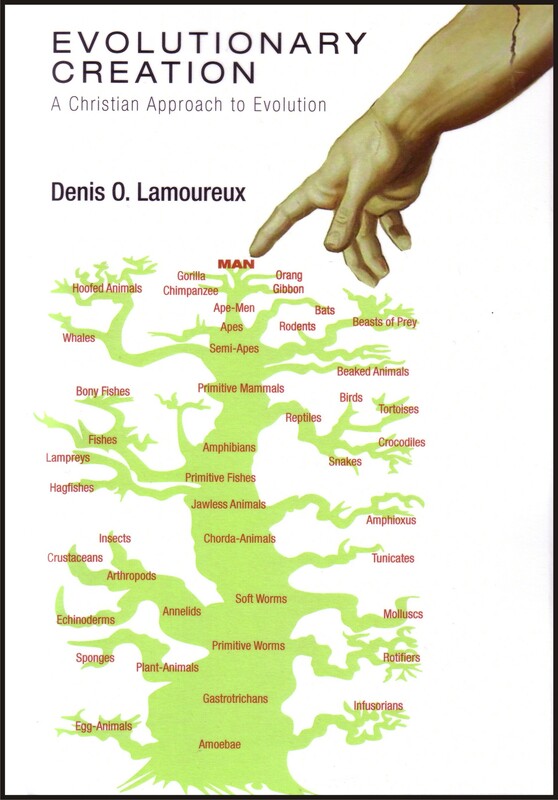 Lamoureux has also written Evolutionary Creation: A Christian Approach to Evolution (2008) and has condensed this book into into a more accessible version entitled I Love Jesus and I Accept Evolution (2009). 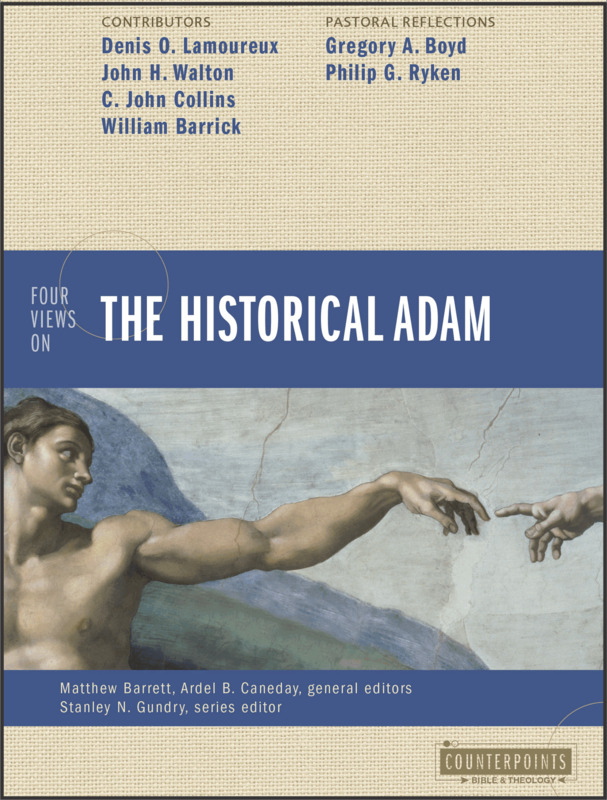 Lamoureux has debated John Walton, C. John Collins, and William Barrick in Four Views on the Historical Adam (2013).